December opened with the warm hospitality of our colleagues at King Fahd University of Petroleum and Minerals’ Al-Fozan Academy as Professor Shariq Siddiqui and I participated in the 8th Non-profit Sector Development Forum in Dammam, Saudi Arabia, titled “Knowledge Management and Impact in the Non-profit Sector.” We welcomed Peter Hoskow as a new member of our Board of Visitors. We also shared milestones for our school’s faculty. We celebrated the retirement of Professor Julie Hatcher whose pioneering work on service learning and the philanthropic studies curriculum helped set the DNA for our enterprise. And we extended congratulations as well to Kirsten Grønbjerg, Efroymson Chair in Philanthropy at our school and groundbreaking researcher in mapping and understanding the nonprofit sector, who was named a Distinguished Professor by Indiana University. Julie and Kirsten are each among the most respected leaders and scholars in their fields. While in the Bay Area, I met with Board of Visitors member Loren Harris, The Fund Raising School’s longtime faculty member Janice Gow Petty, Linda Baker of the Packard Foundation, Kimberly Myers Hewlett of Stanford University, as well as Stephanie Gillis of the Raikes Foundation and Jane Wales, founder of the Global Philanthropy Forum. I had a productive meeting with Dean Lisa Brooks of Butler University’s Jordan College of the Arts to discuss a possible joint program for Butler students with our school. During December, our staff demonstrated laudable flexibility by working from home or in temporary spaces as we undertook a thorough reconfiguration of our space to create six new offices and more room for growth. As the year closed amidst holiday celebrations, the progress of the renovations promised to have the space ready just in time for the start of classes in 2019! Applications are now open for the summer study abroad program "Philanthropy in a Comparative European Perspective," which will include lectures at key universities and visits to philanthropic organizations in Berlin, Hamburg, and Amsterdam. Board of Visitors members are welcome to join the course. 15, Mays Family Institute on Diverse Philanthropy Speaker Series: Susan Batten, “Struggle and Progress: Philanthropic Leadership on Issues of Race and Equity,” Indianapolis Central Library – Clowes Auditorium, 6:00 p.m.
Student Services exhibited at the CASE District V annual conference December 9-11, 2018. We held an information session for the participants of the CASE Resident Program to highlight our new CASE Resident Lilly Family School of Philanthropy scholarship opportunity. We have been working hard to get all of our new and current students registered for the spring 2019 semester. Nearly 40 school faculty, staff, and students gave presentations and/or led activities at the ARNOVA annual conference, “From Relief to Resilience: How Philanthropy, Nonprofits and Volunteers Bridge the Gap between Crisis and Sustainability” in Austin, TX, November 15-17. 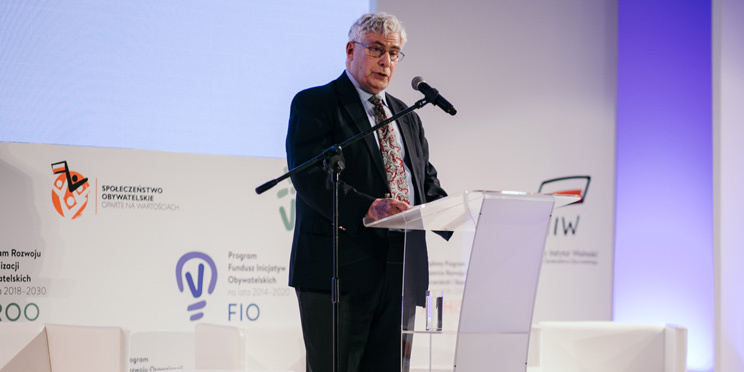 At the end of November, Emeritus Professor and Senior Counsellor to the Dean Leslie Lenkowsky delivered one of the featured addresses at a conference in Warsaw, Poland, sponsored by the Centre for Civil Society Development of the National Freedom Institute, a part of the Prime Minister’s office. The conference, entitled “Civil Society Based on Values,” was held to mark the first anniversary of the government’s program to assist civil society and the start of its national service program for young people, Solidarity Corps. While in Warsaw, Lenkowsky also met with scholars and nonprofit leaders, including the director of the Stefan Batory Foundation, funded initially by George Soros. In addition, he met with the Chief Rabbi of Poland and attended a candle-lighting ceremony for the first night of Hanukkah, held in a square that had been part of the Warsaw ghetto during World War II. December found the Women’s Philanthropy Institute sharing research about gender and giving with diverse audiences. 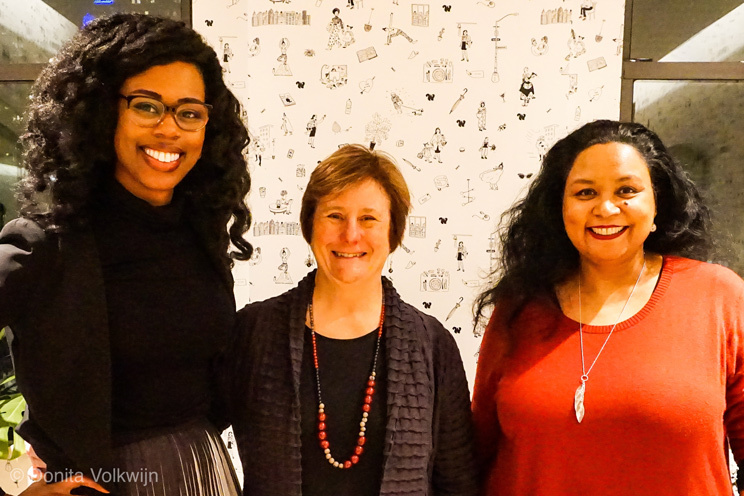 Interim WPI Director Andrea Pactor facilitated an engaging conversation, “Philanthropy is Power: Creating Your Own Giving Plan,” for young women entrepreneurs at The Wing, a co-working space in New York City. She was joined by Jumi Falushi, vice president, philanthropy advisor, Bessemer Trust, and Donita Volkwijn, manager of knowledge management at Rockefeller Philanthropy Advisors; both added practical insights and a wealth of knowledge to the conversation. WPI Council Chair Kathleen Loehr and Pactor presented a three-hour workshop about creating women’s philanthropy initiatives/programs on campuses to about 30 fundraisers from a range of schools across the Midwest at the CASE V conference in Chicago. They followed this formal session with an informal networking and brainstorming session of women’s philanthropy professional leaders who work with new or established programs. Debra Mesch spoke about WPI’s research on gender and philanthropy to the campaign cabinet at Newfields (formerly the Indianapolis Museum of Art) in Indianapolis, where Lilly Family School of Philanthropy Board of Visitors member Tom Hiatt is the campaign chair. WPI released its seventh research study of the year, Encouraging Giving to Women’s and Girls’ Causes: The Role of Social Norms. Dr. Patrick Dwyer, assistant professor of philanthropic studies and the principal investigator for this study, applied social psychology as the framework to better understand donors’ motivations for giving and giving behaviors. Learn more about Dwyer’s approach in this blog post that appeared in December on the school’s website. The Fund Raising School hosted senior leaders of state volunteerism commissions affiliated with the Corporation for National and Community Service. The state-level executives received three days of training on fundraising and on leadership as they prepare for a campaign to take full advantage of a significant matching opportunity. The Fund Raising School’s director, Bill Stanczykiewicz, spoke at a leadership luncheon for community foundation executives and their board chairs in northeast Indiana. The presentation derived from The Fund Raising School’s new course on leadership and fundraising, which will be offered later this month in Miami. 2-5: Lake Institute hosted a convening in Indianapolis for 10 congregations of women religious grantees as a part of its Advancing Mission 2.0 grant. This was the first of three gatherings of the grantees who received training and coaching around fundraising in a religious context. 5: David King, Karen Lake Buttrey Director, presented a workshop on Values and Giving at the 2018 Habitat for Humanity Indiana state conference in Indianapolis. The workshop explored what is known about the ways that faith, spirituality, and values affect how a majority of donors think about their philanthropic support of religious and secular causes. 8: Lake Institute partner Everence Financial hosted a Cultivating Generous Congregations seminar, serving congregations in Kalana, IA. 11: Local alumni from Lake Institute’s Executive Certificate in Religious Fundraising course gathered in Indianapolis at Broadway United Methodist Church as part of a community of practice forming for past course participants. The former participants were presented with updated research and provided an avenue to connect with other religious leaders in their community who have participated in Lake Institute educational programs. Susan Taylor Batten, president and CEO of the Association of Black Foundation Executives (ABFE), will discuss “Struggle and Progress: Philanthropic Leadership on Issues of Race and Equity” in public remarks in Indianapolis on January 15 at the Indianapolis Central Library’s Clowes Auditorium, 40 East St. Clair Street. A reception begins at 5:30 p.m. and the conversation begins at 6:00 p.m. Both are free and open to the public; registration is requested. On December 13, Kim Williams-Pulfer, postdoctoral research appointee for the Mays Family Institute on Diverse Philanthropy, met with the IU Diversity, Equity and Multicultural Affairs (DEMA) scholarship program directors to discuss opportunities for infusing philanthropic studies education within the scholarship programs of DEMA. 11-12, Una Osili, associate dean for research and international programs, met with leaders at Schwab Charitable and Facebook to explore the potential for research partnerships. Nearly 40 school faculty, staff and students gave presentations and/or led activities at the ARNOVA annual conference, “From Relief to Resilience: How Philanthropy, Nonprofits and Volunteers Bridge the Gap between Crisis and Sustainability” in Austin, TX, November 15-17. The Wall Street Journal published an op-ed by Genevieve Shaker on how to get employees to give more to charity (subscription only). National Public Radio’s “Here and Now” program broadcast and published an interview with Una Osili about the possible effects of tax law changes on charitable giving in 2018. PBS News Hour quoted Osili and cited our research for the US Trust Study of High Net Worth Philanthropy and our Philanthropy Panel Study research in an article about what the new tax law means for one’s holiday giving. The Wall Street Journal published an article written by Les Lenkowsky about the five best novels on philanthropy. Forbes also discussed research conducted by Shaker in a story about workplace giving. Fortune cited Patrick Rooney and the school’s tax research in an article about the potential impact of tax cuts on charitable giving. TIME quoted Osili extensively in an article about ways charitable giving will change in 2019. CNBC mentioned WPI and linked to its report on women’s giving to philanthropy after the 2016 elections in a story about women donors and political funding. A MarketWatch story on whether people have stopped giving in light of the new tax law quoted Rooney and cited our research for the US Trust Study of High Net Worth Philanthropy, our research for the Philanthropy Outlook, and our research on the potential impact of the tax law. Roll Call, a MarketWatch opinion column, the Charlotte Observer, op-eds in the Hartford Courant and the Journal Record (Oklahoma City), and articles in the Herald-Mail (Hagerstown, MD) and the Longview News-Journal (TX) cited our tax policy research. Tim Seiler was quoted in a Mashable story about the power of crowdfunding. The Bay Area Reporter (San Francisco) covered our research about LGBTQ giving in the US Trust Study of High Net Worth Philanthropy and also our Philanthropy Panel Study research in an article about LGBT organizations’ yearend solicitations. Patrick Dwyer and Debra Mesch were quoted in a ThinkAdvisor article about Dwyer’s study for WPI of how social norms influence giving to women’s and girls’ causes. Mesch was quoted in Philanthropy News Digest and Philanthropy Women articles summarizing the research findings. My Social Good News republished the press release. An op-ed in the Houston Chronicle quotes Rooney on the impact of tax policy changes on giving and cites our 2018 Philanthropy Outlook. Fady Qaddoura, Ph.D.’18, was named the 2018 CFO of the Year by Indianapolis Business Journal. WXIN-TV Fox 59 (Indianapolis), based a story on the link between parents and giving on WPI’s research about parental influences on adult children’s giving. An op-ed in the San Antonio Express-News cited WPI’s research indicating that the more one gives the greater one’s life satisfaction is likely to be. Sara Konrath’s research on the relationship between giving, health, and well-being was featured in an article about the benefits of giving in the Ravalli Republic (MT). Op-eds by Rob Reich in The Washington Post and the Australian Financial Review about the influence of wealthy individuals on charitable giving cites our research from an earlier wave of the US Trust Study of High Net Worth Philanthropy. Molly Braden, M.A.’17, wrote an article on her experiences at our school and in her professional life for the Emerging Practitioners in Philanthropy (EPIP) website. The Bristol Herald Courier (VA) and The Eagle (Bryan-College Station, TX) published stories about Lake Institute receiving grants to fund the Advancing Mission 2.0 program that assists women religious in learning to raise funds for their organizations. Motherly cited the Women’s Philanthropy Institute’s research on the importance of parents’ talking to children about giving in an article on why Sandra Bullock’s children will receive a small number of Christmas gifts and how parents instill such values in their children. The CEO of the Atlanta Women’s Foundation cited WPI’s research in a column for the SaportaReport. Spectrum1News (Columbus, OH), quoted Lenkowsky in a story about foundation funding in Ohio. The Tyler Morning Telegraph (TX) cited our research for the US Trust Study of High Net Worth Philanthropy in an article about the difficulties of deciding where to give. An op-ed in the Caledonian Record (NH and VT) also cited our US Trust research. A SRQmagazine (South Florida) story on women as donors cited several WPI research studies. STL News cited our Philanthropy Panel Study research on the share of Americans who give to charity in a story about the generosity of realtors. The Idaho State University Bengal cited our research on year-end giving in a story about giving during the holidays. Osili’s Indianapolis Business Journal column called for more public and private funding for higher education. 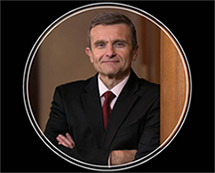 Dean Pasic was quoted by The NonProfit Times in an article about Michael Bloomberg’s $1.8 billion gift to Johns Hopkins University. Inside Philanthropy published an article on workplace giving that is an overview of the findings from our research for the Giving USA Special Report on the Evolution of Workplace Giving. Nonprofit Quarterly mentioned an article by Rooney in a story about civil society trends in 2018.